We all remember Sarah, with her heartfelt words and captivating ceramics. Sarah juggles classes, several jobs and her art, making it difficult to find peaceful moments to just rest. 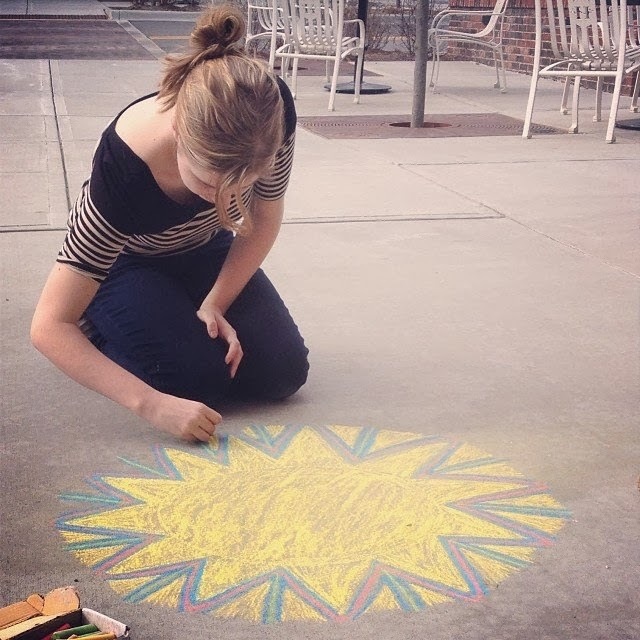 Over the weekend while working her job at a toy store, a coworker convinced Sarah to save the tasks for later and sit outside on the main street sidewalk with chalk. She says, "It was so lovely to be in the sun and draw. I drew a happy place to stand in...colors that embody all my good feelings...Many customers joined me and left their drawings...even the parents who protested that they 'couldn't draw' left some lovely little pictures. What a sweet day." 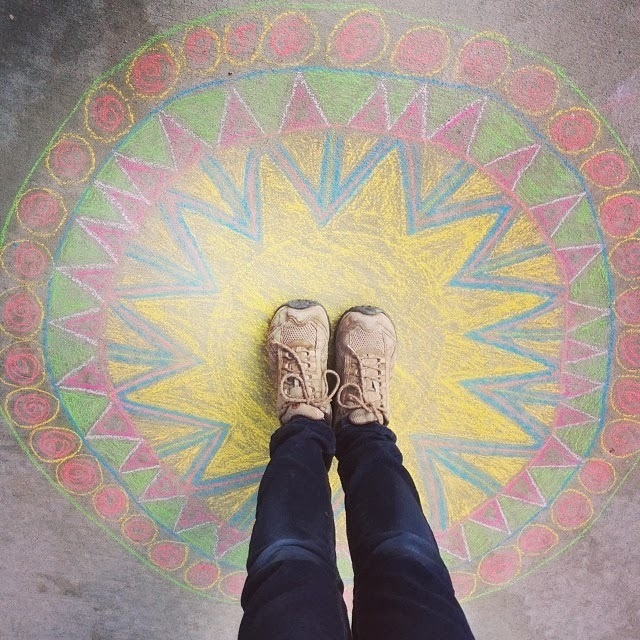 We hope you are all finding your own colorful moments of beautiful rest on this Wednesday! 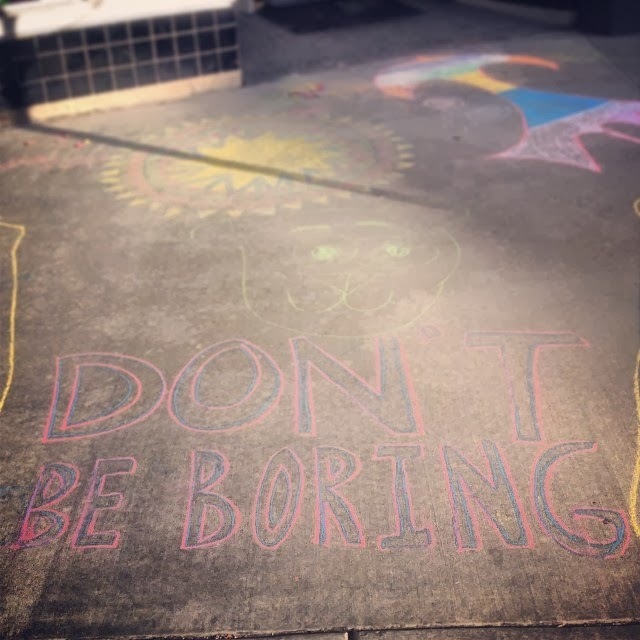 Don't Be Boring!!! Love those words!!! 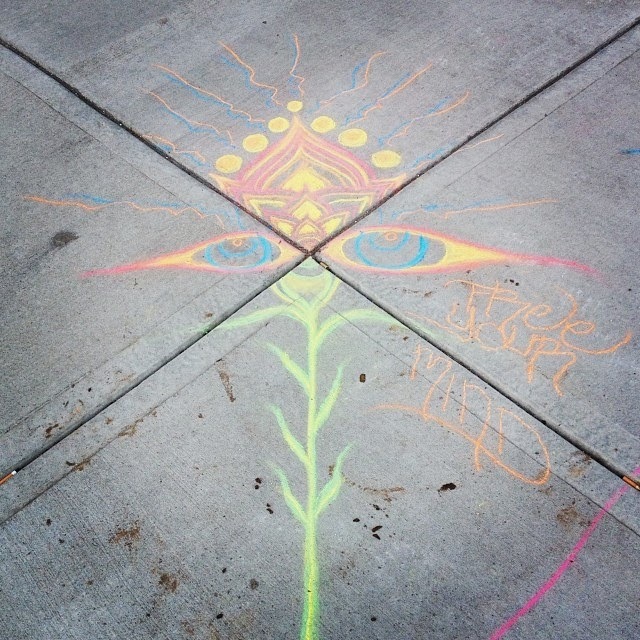 And the chalk art!